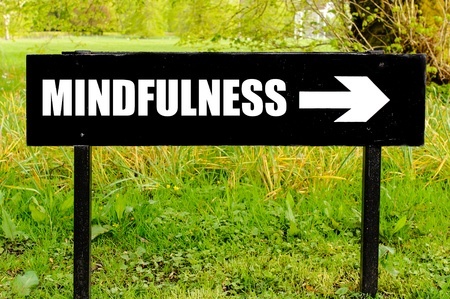 Thank's to the medical community, mindfulness has become an everyday part of our language. Don't be fooled by flood of material on the subject. Mindfulness isn't a new topic. The Buddha taught mindfulness over 2500 years ago. In fact, he taught mindfulness and meditation, mindfulness' primary tool of implementation, for over forty years. It should also be noted that even then mindfulness wasn't an original concept. In fact, the roots of mindfulness stretch so far back into recorded time it's impossible to know where it originated. Perhaps the practice of mindfulness is in the human genes. I, for one, believe that to be the case. The simplest definition of mindfulness is: being totally in the moment. In other words, being totally focused on what's happening in this moment, with no part of your attention anywhere other than in this moment. We've all done that in moments of what I call "situational mindfulness." Those are moments when the situation demands our full attention. Life threatening moments, for one, demand our full attention, as do moments of extreme pain or pleasure. However, when the situation returns to normal, our attention quickly leaves the moment and wanders into the past, the future, daydreams, nightmares, whatever. For the purpose of this post, I'm not concerned with situational mindfulness. I am speaking of mindfulness-on-demand or mindfulness by choice. Or, for the sake of simplicity, just plain mindfulness. Most of the self-described mindfulness gurus of today focus all their energy on meditation, which is simply a tool for building one's mindfulness practice, but shouldn't be confused with mindfulness itself. Meditation is to mindfulness what a hammer and saw are to a building project - important but not the project. Mindfulness, or being totally present in this moment, the only moment there is, requires a calm mind. Before a person jumps into meditation to calm their mind they have to know why their mind isn't already calm. Or, to put it another way, why can't I just bring my full attention into this moment and keep it here by simply deciding to do just that? That was Nathan Algren's introduction to mindfulness. Later, during kendo training, Ujio defeated him in two rounds and then Algren recalled the lesson Nobutada had shared - No Mind - and he... well, see for yourself. Mindfulness is the practice of moving into the state of "no mind" or more aptly, the state of one mind, or simply Oneness. To get there you will have to give up anger, stress, and worry. Obviously you can't just walk away from those "minds." At least not until you know more about where they came from and what they are. That's what I'll talk about in my next post on mindfulness.